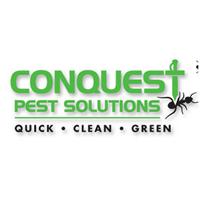 Conquest Pest Solutions originally began as Code Chemical Incorportated in the late 1970’s. Code Chemical began as a Pest Management supply distributor and then transitioned into termite inspections. Since 1993, Mark Winston, Owner of Conquest Pest Solutions, has been providing pest control and has a vast knowledge of providing clean, safe and effective pest control. Service is provided quickly and conveniently. We specialize in the control of ants, bees, wasps, centipedes, mice, rats, roaches and bed bugs. Mark Winston has been a well known name in the industry for many years and because he is committed to exceeding every client’s expectations, Conquest’s clientele are mostly referrals from previous satisfied customers. Conquest Pest Solutions is Owner operated and stands behind all services provided. Our number one priority is customer satisfaction. I had the horrifying experience of having a rat in my home. Conquest contacted me right away after I looked up pest control on Angie's list, and sent Peter out the same day. The rat came through a broken sewer grate in the basement to eat my cat's food on the first floor. Carlos came out the second day, setting more traps, with me and the cat going to the second floor behind closed doors. Due to my cat, the traps had to be set where the cat wouldn't go and that caused a second day of trying to trap the rat. Thankfully, the large rat was caught at the end of the second day, a Saturday. Carlos came out early Monday morning to pick it up and take the excess traps. Unless you enjoy catching and disposing of rats yourself, I would highly recommend this professional service. Both Peter and Carlos were understanding and doing their best to try and solve the problem as quickly as possible. I have been very impressed and pleased with Conquest's response to prompt service. Ken, our technician, is incredibly knowledgable, thorough and diligent. Conquest has been a trooper with our needs and every rep has a great attitude. Very good service!!!!!!!!! I am very pleased with the man who came out from Conquest---Carlos----very knowledgeable and very thorough. Thank you!!!!1. Could you please send me thru the mail a written statement for the bill we discussed. Currently my computer printer is not working, and I need a printed copy for my records. Thank you very much. Dorothy. Easy to schedule. Technician was knowledgeable and friendly. So prompt! Hard to believe. I was going out of town and had an ant invasion in the bathroom. I couldn't leave home while the ants moved in. I called Conquest after reading the tons of wonderful reviews on Angie's list.I explained my dilemma to Peter and he spoke to Carlos who came within the hour. Carlos is kind,thorough, informative;all the things I had read about him. I have pets too and all products are pet safe. I will certainly recommend and use Conquest again. With service like this how could you choose anyone else? Carlos was able to clearly explain our problem, the plan for resolution, follow-up and what we need to do to prevent further infestation. They went above and beyond their service requirements. Everyone I have spoken with at Conquest has been extremely nice. Their technician, Carlos, was great - prompt, courteous and thorough. The reasonable price included the initial visit, application(s) and a 2-week follow-up visit. Even though there was a below-zero cold snap following the treatment, there was no more mouse activity! I would recommend Conquest Pest to anyone suffering (!) with a rodent infestation. Thank you Carlos and Conquest Pest!! I will be more than happy to give a review after I see whether the treatment works or not. Since you were just here, there hasn’t been enuff time to make an evaluation. I did see about seven Carpenters dead on the window sill. Hopefully they all croak. I can always count on Conquest Pest Solutions! They are reliable, knowledgeable, friendly, and they get the job done! The technician was very knowledgeable and explained everything he was doing. After one application we have not seen any ants since then. Outstanding and thorough service. Will call again when needed. I chose Conquest because of good reviews on web. They did not disappoint! They arrived on time, were courteous and pricing competitive with other pest control companies. this issue with ants again,I would hire them immediately!! Inspected found the ant nest treated. Very thorough. Conquest did a great job for us. They were very quick to respond to our needs and took care of the problem right away. Highly recommended! Service was made exceptionally easy for me, the customer, and it was affordable. The communications from Conquest was timely and professional. Courteous, polite people! Will be using them again soon. EVen though there was some confusion when the representative arrived here, he was very responsive, worked things out and left us feeling happy. Mark is great! Comes twice a year and always does a great job! No ants since Ken from Conquest Pest solutions was here. Yeah. Service technician was very polite. He even helped pull out the stove and cleaned debris under the stove and on the side. He explained everything he was doing every step of the way. Ants have returned, but the price includes one return visit which we still need to schedule. I had an ant problem and after the first application of insect replellant, I have not seen any ants in my kitchen or anywhere else in my home. My driveway which used to be loaded with carpenter ants, no longer has any ants. I am very happy with Conquest Pest Solutions and would highly recommend them. Conquest has done a remarkable job in keeping our location free of roaches. Kenneth Myers is extremely knowledgeable and conscientious. Thank you for terrific service! We were very pleased with Carlos when he came last week. He is very knowledgeable and took care of any problem we have or may have a possibility of having. He was very polite and considerate trying not to make any kind of mess while taking care of the inside and out. Super happy with Conquest especially with Carlos who serviced our house. Since initial visit, we have not had a return of original infestation. Michael did a great job! Explained what he was doing and what to expect. They are very professional and courteous. The technician did a thorough inspection and we have had no trouble with ants since he left. I highly recommend Conquest! Came on time, Was in and out in a timely fashion, exterminator answered all questions and gave me tips as well. Will recommend for services, especially my infestation with carpenter ants. Very pleased with the service we recieved. The technician was very detailed of his work, and a very trust worthy person, my family felt very safe. Thanks. I am always pleased with Conquest Pest Solutions. You are prompt, always on time, and very knowledgeable. Have recommended you to one of our neighbors. Hope they call you! I was pleased with the service provided Michael Teamer was very polite and informative and the owner Marc proved to be a man of his word. I have worked with Conquest for over a decade regarding all sorts of pest problems. I find them to be very thorough, timely and friendly. Very reliable and easy to work with! Service was prompt, professional and educational. It was also less expensive than some competitors. In addition, no one tried to sell me on more services or contracts like another competitor. We were able to get an appointment quickly, which is good when there's a mouse problem! Tessie in the office was very helpful. Carlos came to my mother's house and was prompt and courteous. I had doubts that the service would help since we'd already placed traps. However, the poison boxes he put out did the trick. They were safe for the dog, who couldn't get to the pellets inside. Carlos also pointed out all the areas where the mice could be getting in. Thankfully, even with the cold weather, we haven't seen more mice. I have 3 apartment buildings. Conquest has been prompt and courteous whether the issue has been rodents or insects. I highly recommend them. They did a great job and very responsive. Conquest is great, very understanding and wanting to stand by their work.